Jacobs Douwe Egberts (JDE) Professional has unveiled a fresh, new brand positioning for Kenco The Coffee Company, complete with a bold new logo and pack design. The new design brings to life the heritage, passion and expertise behind the well-loved brand, helping to further boost value and volume growth across the sector. The Kenco brand is widely recognised and trusted by consumers, growing at 8.3% in the grocery retail sector. The rebrand will help to re-establish the brand’s rich history with the aim to increase sales and contribute to strong category growth. Activity will include investment in trade advertising, in-store visibility throughout the UK supported by a fresh new consumer-facing campaign live from September 2017 including digital and print media. 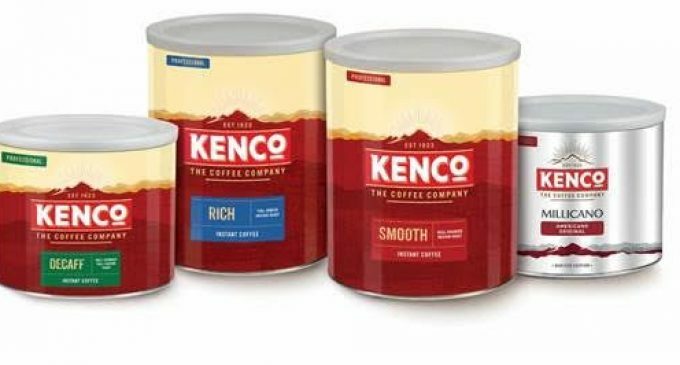 To celebrate both the new look and Kenco’s heritage since 1923, all professional customers are being given the chance to win a £1,923 voucher when buying a 500g or 750g tin of Kenco through their foodservice distributor and then entering at www.win1923.co.uk before the end of 2017.